N 7° 55' 41" and E 1° 58' 32"
Savalou in Collines Department with it's 30,187 habitants is located in Benin about 108 mi (or 174 km) north-west of Porto-Novo, the country's capital town. Current time in Savalou is now 06:15 PM (Sunday). The local timezone is named Africa / Porto-Novo with an UTC offset of one hour. We know of 9 airports close to Savalou, of which two are larger airports. The closest airport in Benin is Savé Airport in a distance of 34 mi (or 55 km), East. Besides the airports, there are other travel options available (check left side). There is one Unesco world heritage site nearby. It's Royal Palaces of Abomey in a distance of 51 mi (or 83 km), South. While being here, you might want to pay a visit to some of the following locations: Abomey, Atakpame, Imeko, Iwere-Ile and Dogbo. To further explore this place, just scroll down and browse the available info. Let's start with some photos from the area. Celebración de Egungun en Savalou (Benin) agosto del 2011. 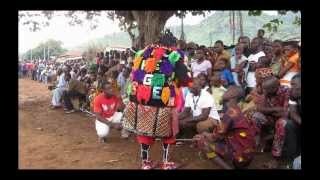 Celebrating Egungun in Savalou (Benin) August 2011. Collines is one of the twelve departments of Benin. 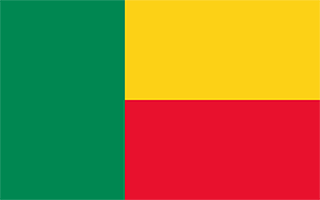 Collines was created in 1999 after the Benin government split up the former six departments of Atakora, Atlantique, Borgou, Mono, Oueme and Zou into twelve. Collines was split from Zou. Since 2008, the capital is Savalou. The departments that border Collines are Plateau, Borgou, Zou, and Donga. The total area of Collines is 13,561 km. ² . Collines is divided into the communes of Bantè, Dassa-Zoumè, Glazoué, Ouèssè, Savalou, and Savé. Located at 7.93333, 1.96667 (Lat. / Lng. ), about 1 miles away. Savalou is a city located in the Collines Department of Benin. The commune covers an area of 2674 square kilometres and as of 2012 had a population of 35,433 people. It is the birthplace of Olympic Beninese hurdler Odile Ahouanwanou. Gobada is an arrondissement in the Collines department of Benin. It is an administrative division under the jurisdiction of the commune of Savalou. According to the population census conducted by the Institut National de la Statistique Benin on February 15, 2002, the arrondissement had a total population of 4,676. Located at 7.76667, 2 (Lat. / Lng. ), about 11 miles away. These are some bigger and more relevant cities in the wider vivinity of Savalou.